Home › Add/Edit › Picture Perfect! We are happy to announce three major new photo enhancements for NorthstarMLS! We have increased the maximum number of photos per listing from 18 to 24. We have increased the maximum photo resolution from 640×480 to 1024×768. 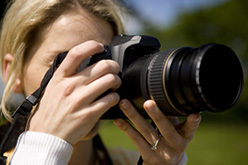 Potential buyers will see your beautiful photos in more detail! Be sure to adjust your camera settings or inform your photographer. Uploading a photo that’s not right-side up? Now you can quickly rotate it within Add/Edit with the click of a button. See how here. These enhancements will take effect Wednesday, April 13. Questions? Contact our Help Desk at help@northstarmls.com or 651-251-5456 (1-877-251-5455), M-F, 8:00 to 5:00.